Motor vehicle crashes are the leading cause of death for U.S. teens. Six teens ages 16 to 19 die every day from motor vehicle injuries. Per mile driven, teen drivers ages 16 to 19 are nearly three times more likely than drivers aged 20 and older to be in a fatal crash. Parents can make a difference. Here are simple, effective ways to get involved with your teen’s driving. your parents about reducing the risks. If you're a teenager, you've probably heard these facts over and over again. 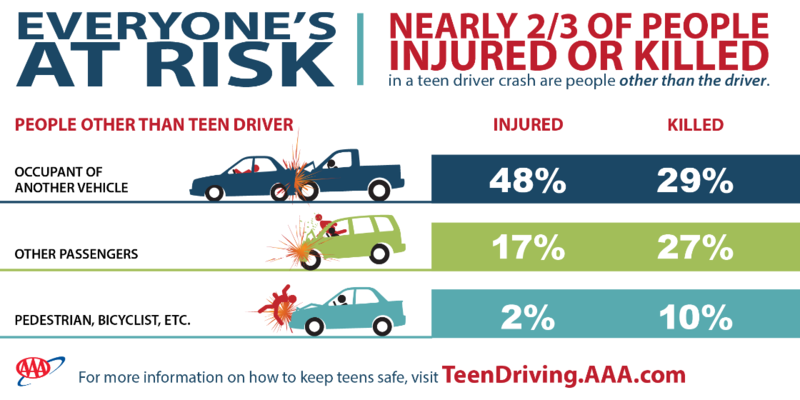 But the stats don't lie: Teen drivers are more likely to be involved in an accident than adult drivers. While it might sound like a broken record, taking extra precautions can help you avoid an accident. And remember as your teenage friends start driving, you should always do your best to be the safest passenger you can be. Be a Navigator – If your driver is using his or her GPS, offer to navigate or help input changes for the destination. This will keep the driver's attention on the road. 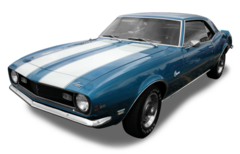 Act as Lookout – Always watch for road hazards and dangerous situations. If you see a deer, call it out. Practice scanning ahead as if you were driving. Hold the Phone – To keep your driver from texting while on the road, offer to hang on to his or her phone while they drive. That way they aren't tempted to text. Buckle Up – Insist on seatbelts for anyone in the car. Sometimes your friends might need a helpful reminder to keep them safe. Volume Control – Don't crank the music. No matter how excited you and the driver might be to hear your favorite tunes, keep it at a reasonable volume. Remain Seated – Don't climb through the car or engage in horseplay. Not only are these extremely dangerous, they're terribly distracting for the driver. Speak Up – If the driver is engaging in dangerous behavior, don't be afraid to say something. They might not even realize they're putting you in danger. Crowd Control – If you're with a driver who's helping out by picking up an intoxicated friend or sibling, try to keep those passengers from becoming dangerous distractions. Copyright © Sound Insurance Agency 2011-2017. All Rights Reserved.